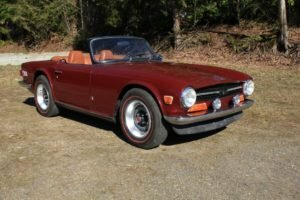 Triumph TR6 with overdrive. 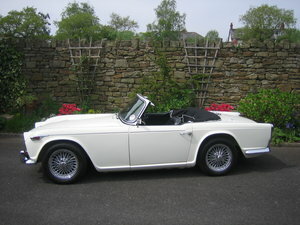 This recently fully restored 1973 TR6 has come to us from Ontario, Canada The restoration has been done very professionally, with a keen eye for detail. 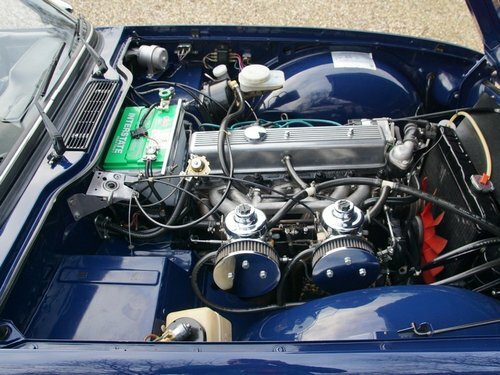 The straight bodywork has good body panel fitting and excellent lacquer. 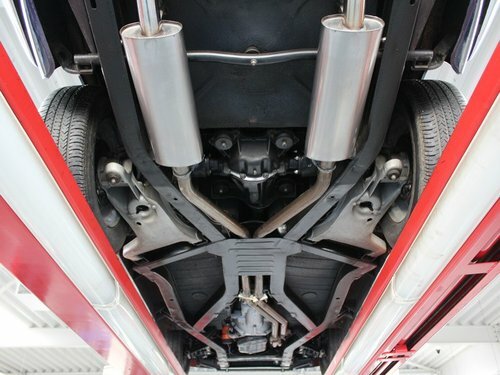 The underbody is as good as new and naturally free from any rust. 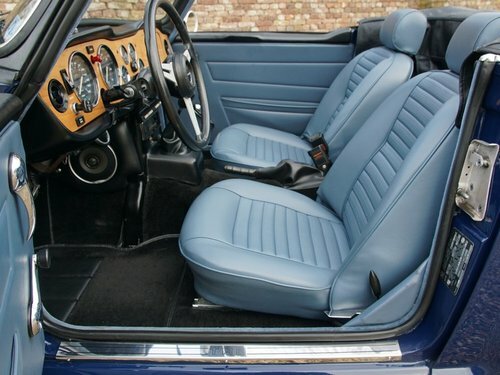 This Tr6 has been finished in her original colour scheme of ‘Sapphire blue’ with a ‘Blue Shadow’ interior trim. It has a black linen hood. Factory-fitted with an overdrive and additional chrome baggage rack and a great sounding double stainless steel exhaust system. 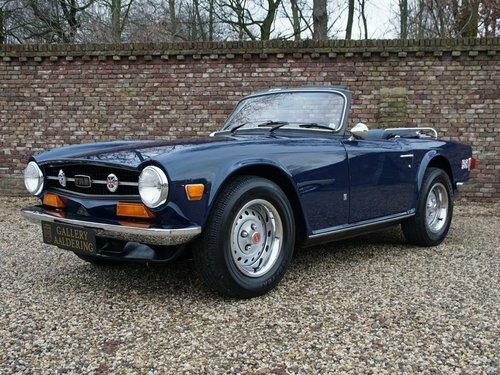 A top quality TR6 with O/d and unique colour scheme! 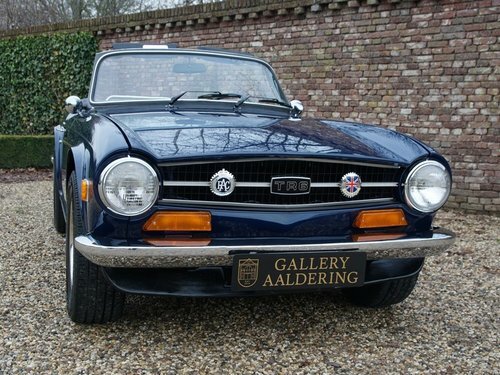 Gallery Aaldering is Europe’s leading Classic Cars specialist since 1975! 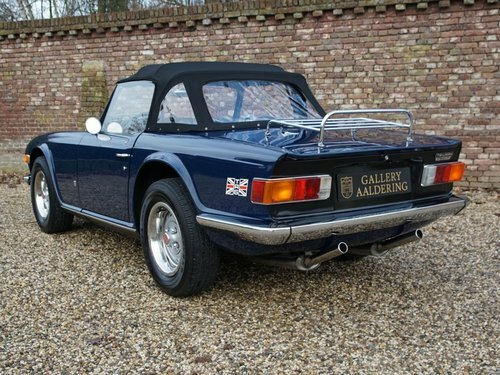 Always 300-350 Classic and Sportscars in stock, please visit http://www.gallery-aaldering.com for the current stock list (all offered cars are available in our showroom) and further information. We are located near the German border, 95 km from Düsseldorf and 90 km from Amsterdam. So easy traveling by plane, train, taxi and car. Transport and worldwide shipping can be arranged. No duties/import costs within Europe. We buy, sell and provide consignment sales (selling on behalf of the owner). We can arrange/provide registration/papers for our German (H-Kennzeichen, TÜV, Fahrzeugbrief, Wertgutachten usw.) and Benelux customers.  Gallery Aaldering, Arnhemsestraat 47, 6971 AP Brummen, The Netherlands. Tel: 0031-575-564055. Quality, experience and transparency is what sets us apart. We look forward to welcoming you in our showroom.